When it comes to the League Two winners market, there’s only one team Ladbrokes fancy to prevail as Bury have been handed the favourites tag at a price of 7/1. Bury sacked the former Leeds manager Kevin Blackwell in November with the Shakers sat 21st in the League Two table following relegation in the prior campaign. 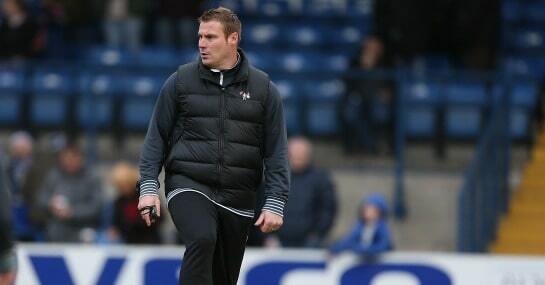 Appointing David Flitcroft to replace him, Bury then went on a storming run of games, where only five teams accrued more points than the once drop-threatened side after the former Shaker took over. If they had maintained that form with Flitcroft through the entire campaign, they would have been three points off the play-offs come the end of the season. The Shakers proved tough to beat last season, only losing three games at Gigg Lane in the entire League Two term. Only four teams managed more points in front of their own fans than Bury did, although Flitcroft will want to turn a few of the draws (a league-high 12) into wins this season to give them a better chance of silverware. Of the six highest scoring teams in the division last season, only Bury finished outside the top five in the table and four of those teams got promoted. Their 59 goals last season was the fifth highest in League Two and with all the four teams to outgun them now playing at a higher level, you’d fancy Bury’s phenomenal goal threat to propel them to a higher league finish this season.